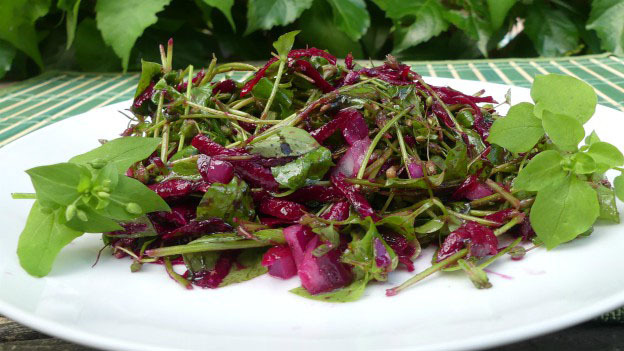 A salad with the fresh, unique flavour of a tasty wild green. Rinse and drain chickweed. Thinly cut scallions. Grate a raw beet. Place in bowl. Combine the coconut oil, wine vinegar and mustard well then toss through salad. Sprinkle a pinch of salt over salt and enjoy.